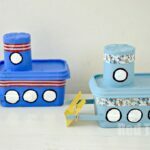 Here is a super cute and quick little craft fr you – cork and rubber band boats. 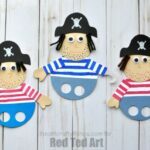 These are ridiculously easy and quick to do and yet are so cute and fun AND really float well. 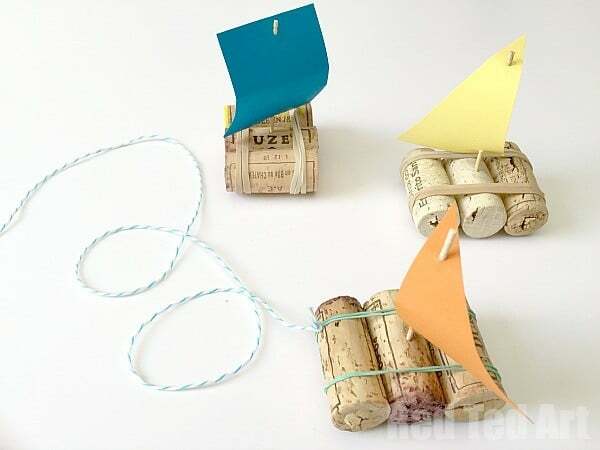 Once you start making these easy cork boats, you will soon find yourself with a whole regatta of them!!!! 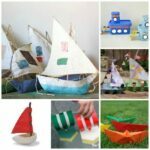 We started off making colourful sails and then moved on to some of these pirate cork boat beauties. Really, keep it simple or make add some detail! It is up to you! Or follow the step by step instructions down below! 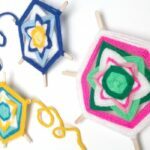 Don’ forget to SUBSCRIBE to our craft channel! 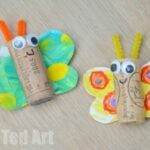 1) Place your elastic around the three corks – try and get 3 corks that are roughly the same width. 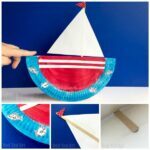 2) Decide on what sort of sails you want. You can keep them plain or add piratey details. 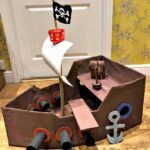 Here we made some pirate ship sales – by using black paper and some white paint. 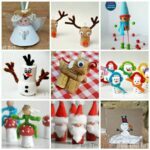 Using craft foam would be great as it would add a little bit more water proofness. Though these boats float so well, the sails shouldn’t get wet. 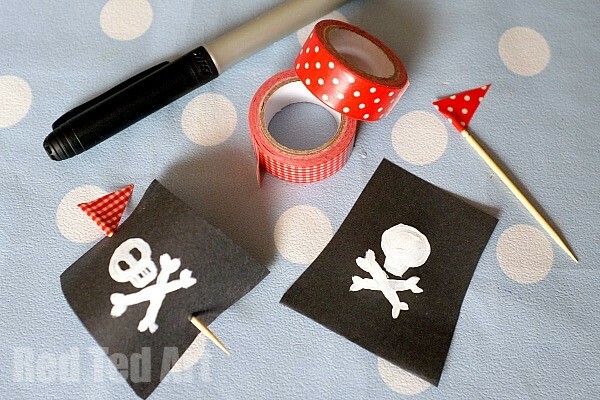 3) Pierce your sail with the toothpick and add a wimple if you wish. 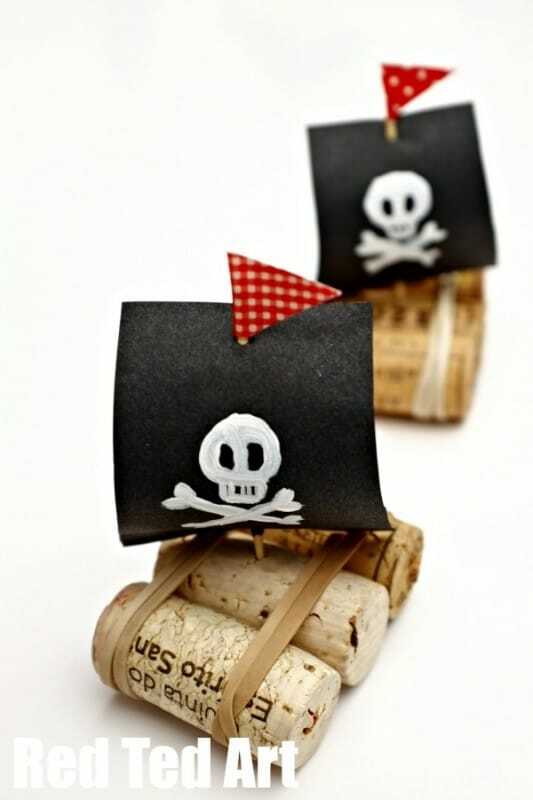 4) Poke your toothpick onto your cork boat base and you are done and ready to sail! 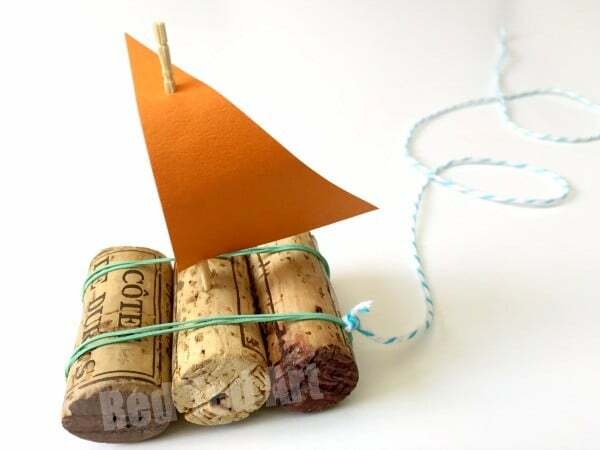 Add a little string to your cork boat if you wish to take it to the local pond or river. I work as a Nursery nurse in a reception class. Your ideas are so easy and fun and that’s what’s so great. Our 4-5 year olds are going to be kept busy! Just wished I’d found you at the beginning of the year!! Awww so pleased to hear that and glad that you found me now!! !